Books, articles, and creative works written or co-written by CMC faculty, including summaries of external grants that faculty received last year, will be showcased. The celebration runs from 2:30 p.m. to 4 p.m. and is open to the public. The display will also remain on view in McKenna Auditorium through Family Weekend (Feb. 16, 1-3 p.m.). A complete listing of projects and abstracts is available online. Students have another opportunity to participate in research projects through CMC’s new Summer Research Program. The program, led by associate professor of psychology Piercarlo Valdesolo, includes full-time research work in a range of disciplines, as well as weekly lunch seminars and off-campus events for faculty and students. 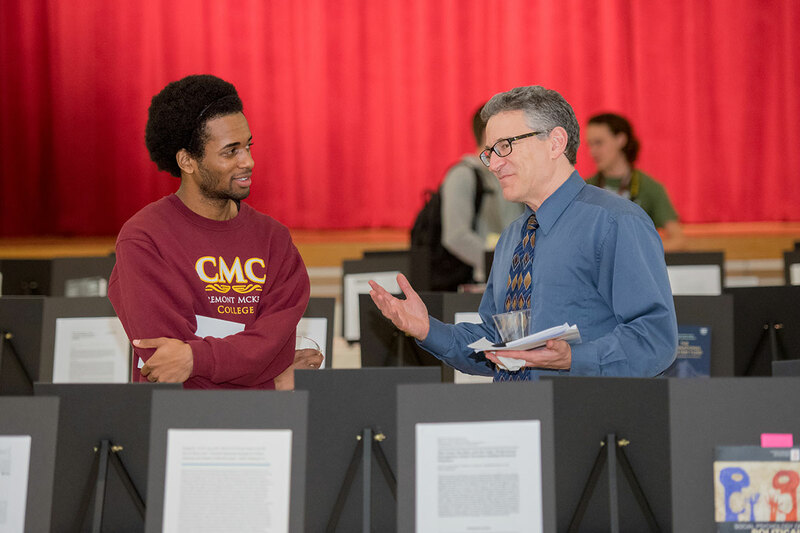 “Whether it's a faculty member's project or a project that students design themselves, CMCers will have the time and resources to do a deep dive on a question or idea while gaining valuable research experience,” said Valdesolo. Applications are due March 1. More information about the Summer Research Program is available online.